Marathi cinema’s biggest franchise film series is without a doubt the Mumbai Pune Mumbai series! 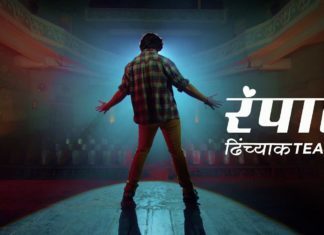 The first Mumbai Pune Mumbai film made Swapnil Joshi & Mukta Barve favorites of fans! It started a dedicated fan club of both the actors who followed everything they did! Now after so many years these fan club has grown even more stronger. And for all the fans the teaser of the third film of the series surely was pleasing! The sequel ‘Mumbai-Pune-Mumbai 2’ was equally successful as the first & hence the third film too seems to be building up on the same backdrop. Swapnil & Mukta’s chemistry is still as natural & yet refreshing to see & we hope that this time to they will impress us in every way. 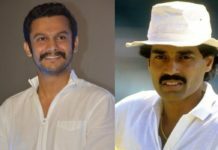 Like the previous two films in the series, ‘Mumbai Pune Mumbai 3’ too is directed by Satish Rajwade. Satish Rajwade earlier in the year gave us another superhit film ‘Aapla Manus’ & last year he entertained us with ‘Ti Saddhya Kay Karte’. So even the director on his own has a dedicated fan club who watch all his films with eagerness! The trailer of the film will soon be out! Next articlePatil Movie Trailer: Story of a Hardworking Father!